English Grammar is difficult. As James Nicoll once wrote: “We don’t just borrow words; on occasion, English has pursued other languages down alleyways to beat them unconscious and rifle their pockets for new vocabulary.” English is often cited as one of the hardest languages to learn due to it having its spelling and grammar built from so many sources. Many people don’t know any more grammar rules than they were taught in high school, and that’s okay as most people won’t recognize when a mistake has been made. Indeed, language often moves past the constraints of correct grammar. Nobody would feel a spoken conversation should have correct grammar, and since we’re now having conversations online there’s no need to be strict about how we talk now. Besides, grammar won’t let you Capitalize Certain Words For Emphasis. It doesn’t let people SHOUT using capslock. ?? Can’t you put your punctuation at the start of a sentence to make sure people read it in a questioning tone? But if you’re writing an email to a co-worker or a teacher you’d better re-read it at least twenty times to make sure you haven’t accidentally used a semi-colon in the wrong place. 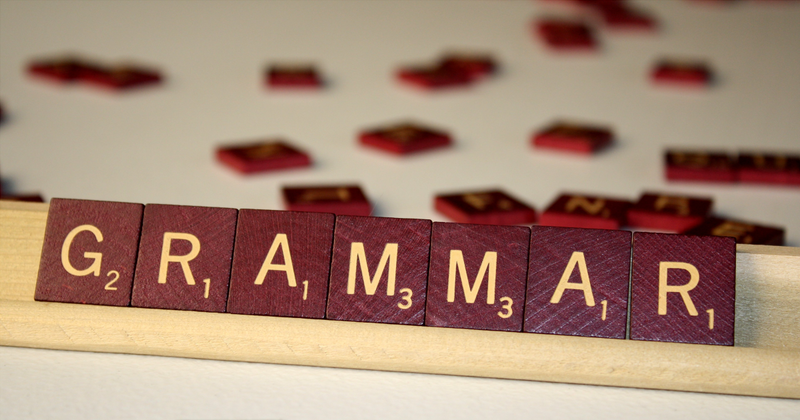 Have you ever made a grammar mistake that’s caused some embarrassment in the workplace? 1. Irregardless isn’t a word. The word you want is “Regardless”. Regardless of how many people use it, Irregardless still isn’t a word. 2. You probably don’t need that many apostrophes. You only need apostrophes for one of two things, to indicate possession or to show letters are missing. “That’s Greg’s bike.” can be changed to “That is Greg’s bike.” but not “Thats Gregs bike.” Also its only needs an apostrophe, when you’re using it in place of it is. 4. You don’t own a hot water heater. It heats cold water. Just call it a water heater. “I hope s/he comes back for his or her keys” versus “I hope they come back for their keys.” far less clunky, and avoids the embarrassment that can come from incorrectly guessing at someone’s gender. Are you a grammar expert or do you need to go back to your high school English classes? Share with your friends to see who’s the brightest.